have you seen all the women of the world? I beat against the winds. the storms shudder before me. a crimson scarf spins a thread of fear. just the sight can bring great leaders to their knees. 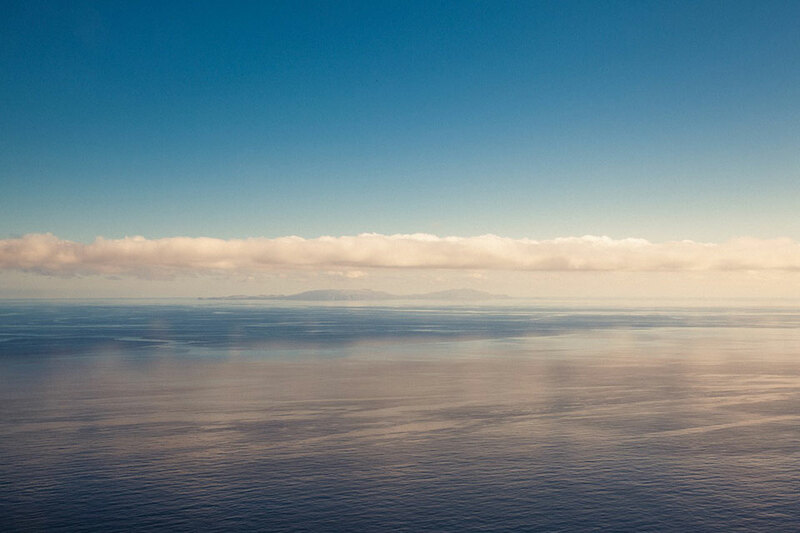 I must have been its shore. 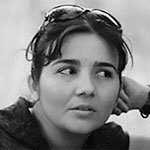 Jale Ismayil was born in 1978 and received her graduate degree from the Baku State University School of Journalism. She has worked for several newspapers and is an editor at an advertising agency. She has published two books, one of short stories, Heykalin içindaki (2010; Stories inside a monument) and another of poetry, Birnafasa (2015; In one breath). 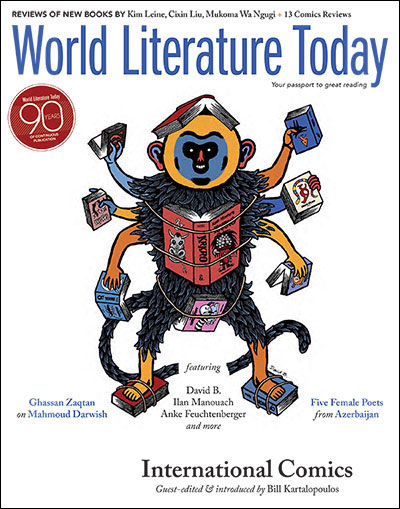 World Literature Today goes graphic in March 2016 with a special section on international comics. “Catalog of an Impossible Library”: A Conversation with David B.